Tick the I agree box, then click INSTALL. 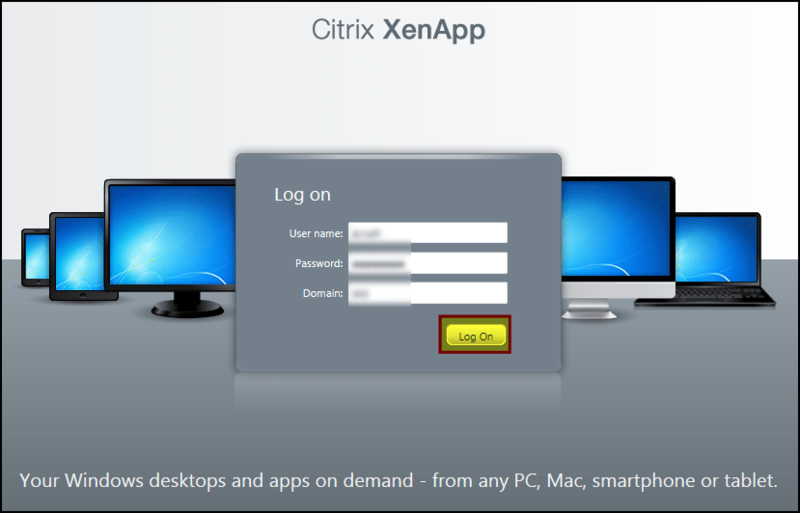 You will now be able to access your applications etc. 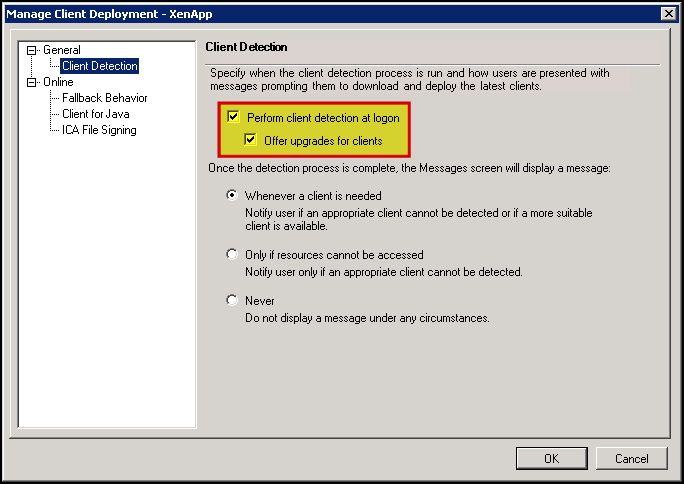 What if Client Detection fails? 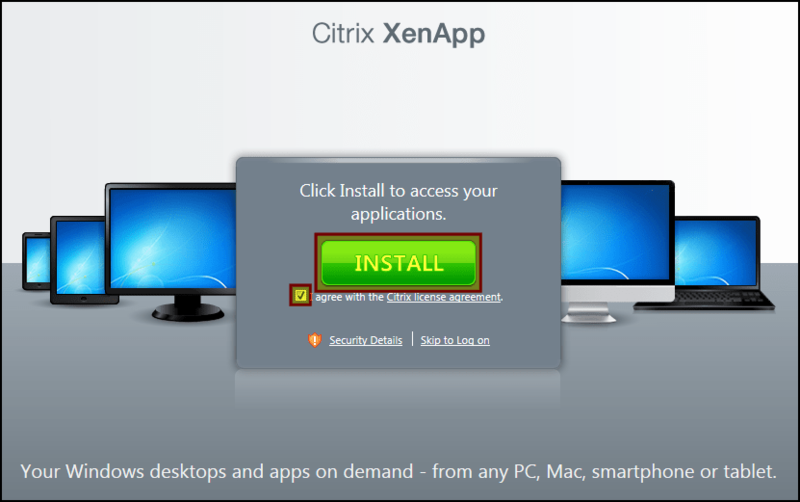 If Client Detection fails, the INSTALL button should take you to the Citrix downloads area, where you can manually download Citrix Receiver.